Frantically looking for some hypoallergenic dog treat recipes because your old dog has unfortunately been found to have the dreaded “food allergy”? Relax! And before you grab the first so-called “hypoallergenic dog treat recipe” you could find on the Internet, be sure you have already done your detective work. What detective work? You ask. Well, dear Watson, I am talking about the “elimination diet” – finding out which protein and carb sources your dog is allergic to by trial and error basically. If you are not familiar with this process, please see this page for more information. When, and only when, you have determined, through elimination, which novel proteins and carbs your dog can eat, you can then start using such food items to make hypoallergenic dog treats for your poochie. Making hypoallergenic dog treats is not that hard, but there are things that you should pay attention to. If you haven’t already done so, please visit this page to find out more. Below you will find three very easy-to-make yet healthy hypoallergenic dog treat recipes. 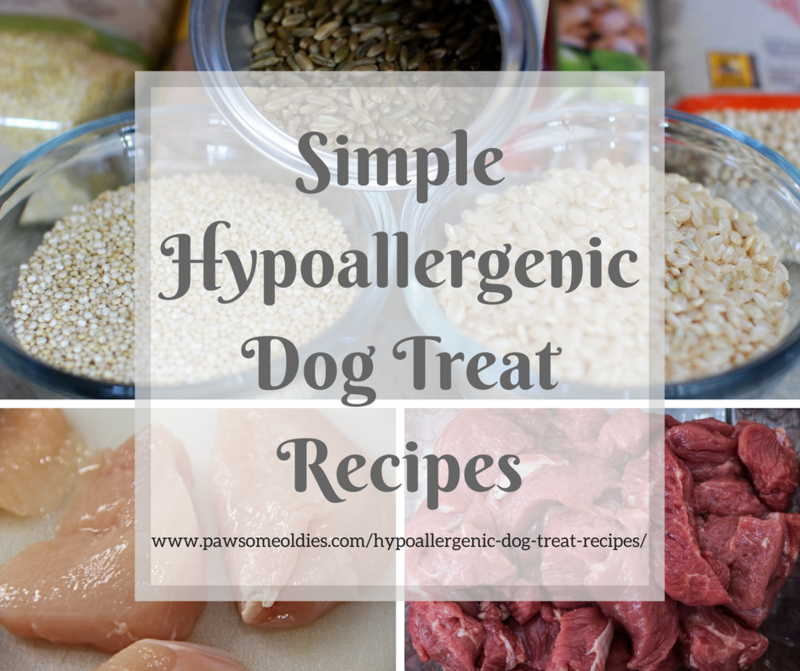 Here are three very simple hypoallergenic dog treat recipes for your old dog. Yes – you’ve got that right! 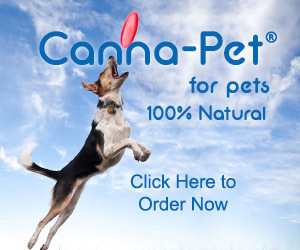 But remember to use two ingredients that are novel and tolerable by your dog. Use this recipe as a base and rotate the protein and flour from time to time to make sure that your dog doesn’t develop an allergic reaction to them over time. Place the meat and water in a food processor (or blender) and whirl until smooth. Turn dough out onto a well-floured board or counter, and make small balls of dough. Roll them in flour, then roll out the dough to make pencil-like strips (size depends on your dog’s size). Use a sharp knife and cut dough strips into small pieces and flatten them into biscuits. Put biscuits onto the baking sheet and bake in preheated oven for about 30 minutes. Turn down oven to 175°F (80°C) and bake for another 30 minutes. …that amaranth flour is made from the seed of the amaranth plant? It’s high in protein and is also a good source of lysine. Lysine is an essential amino acid that our dogs’ bodies cannot produce and must be obtained from foods. Lysine is beneficial to dogs for a number of reasons, such as making their muscles and bones stronger so they can keep chasing that squirrel (and the mail carrier) longer. It also helps develop and boost the immune system so they don’t get sick too often. All good stuff especially for oldies! A gizzard is a part of the chicken’s digestive system, a second stomach if you may, that grinds the food for easy digestion. Chicken gizzards are small but because of all the grinding work they do, they are tough muscles. They are also packed with nutrients, particularly, protein and a considerable amount of fat. 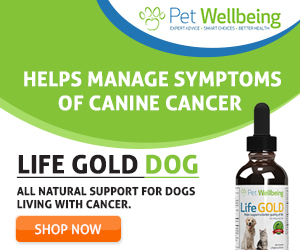 They are rich in iron and zinc, so they are good for dogs who are anemic. In addition, they provide a good source of vitamin B12, which is essential for a healthy immune system and a properly functioning neurological system. If your dog is allergic to chicken, try duck gizzards. Duck organ meats are uncommon protein sources for dogs. Therefore, duck gizzards and duck hearts can be used to make treats for dogs with allergies. You may be able to get these from your local butcher. Add the ginger root slices and gizzards to the water and return it to a boil. Then lower the heat and let it simmer for about 20 minutes, uncovered. Discard the ginger, and drain the gizzards. Allow them to cool. Preheat oven to 300°F (150°C) and line a baking sheet with parchment paper. Cut the gizzards into thin slices (about 1/4″) and toss them with olive oil. Arrange the gizzard slices in one layer on the baking sheet. Bake for 60 minutes, turning them over half way through. Turn off the oven and let the gizzard slices to dry further inside the oven for another hour or so. The ginger slices are optional, but they make the food (and the kitchen) more aromatic. After boiling the gizzards, you can save the stock (freeze it in an ice cube tray) and use it to make treats or add it to your dog’s food. Clean the duck hearts and remove any fat. Pat dry with kitchen paper. When the oil is hot, add the duck hearts to the pan. Sear both sides a bit on high heat. Turn the heat down to medium high, cover the pan with a lid, and let the hearts cook for about 30 minutes. Saute the hearts once or twice half way through. Add the mixed herbs, toss the hearts so they are covered with the herbs, and turn off the heat. Let cool and store in the refrigerator in an airtight container for up to 2 weeks.